Welcome to Veterinary Home Health Care! 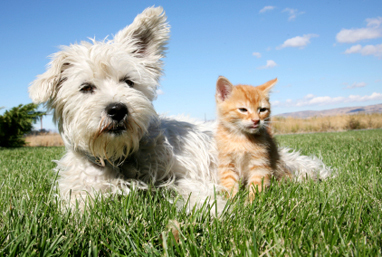 Veterinary Home Health Care provides professional, caring and affordable veterinary care in the comfort of your home. We service all of Chicago as well as the surrounding suburbs. Corinne Dobner, DVM has been a veterinarian since 1987. She graduated from the College of Veterinary Medicine at the University of Illinois at Urbana Champaign. Dr Dobner's mobile veterinary service allows your pet to receive the highest quality veterinary care without the hassle of traveling and waiting. This is perfect for elderly or disabled pets, pets who don't like to travel, or pets who get frightened at a veterinary office. Dr. Dobner & her assistant will examine your pet in your own home. This allows elderly or disabled clients, moms and dads with young children, busy working folk or families with multiple pets the comfort of knowing their pets are receiving the best veterinary care at a convenient time and location.